Monitoring of school buildings and armchair delivery is very challenging especially if we don’t have the knowledge on the technical aspects of the projects. It takes a lot of time to learn the process of monitoring these projects. But this time, through the help of the Bantay Eskwela Initiative, everybody can monitor these kinds of projects. Bantay Eskwela empowers local stakeholders in monitoring the contract implementation of school buildings and armchairs. Monitoring is not a fault finding activity but a partnership between government and stakeholders to assure the right quality and quantity of the project. The Bantay Eskwela 2012 targets to saturate schools in the Davao Region and hopes to propagate the monitoring framework in 183 communities. Davao del Sur is one of the six target areas of the Bantay Eskwela project. 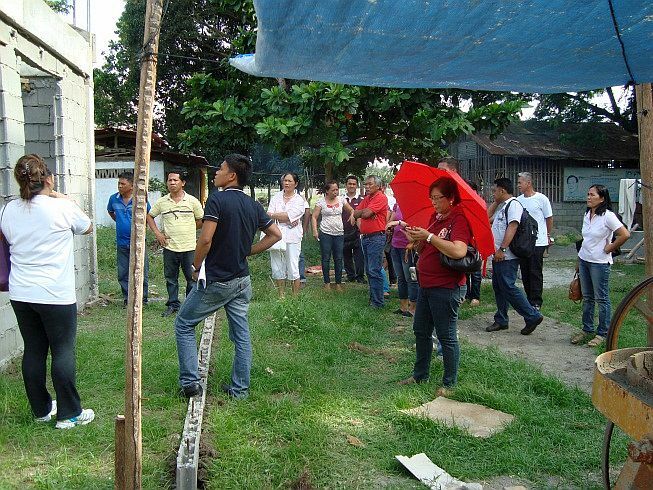 On April 24 & 26, 2012, with the help of DepEd Division Office Personnel of Davao del Sur, the Bantay Eskwela Project Implementation Team met and oriented 63 volunteers coming from the different schools. The volunteers were oriented on the Bantay Eskwela framework. After the orientation on the project frame work, they were given a chance to conduct an actual monitoring of the on-going school buildings. The volunteers together with the principals were very active and interested in the project. Principals and PTA volunteers were able to realize the importance of this Bantay Eskwela initiative for their schools and their children’s future. Mr. Rayki A. Buat, Principal II of Hagonoy National high School said that “pwede bang imbitahin kita (referring to the Area Head) para ma-inspect muna natin ang classroom construction at mga delivery bago kami pipirma sa Certificate of Completion?” [Could we invite you to come here and inspect with us the classroom construction and furniture delivery, before we sign off the Certificate of Completion (COC)?” He was referring to the on-going 2-classroom construction at his school that we used as a model for the on-site orientation. This kind of feedback shows how they really appreciated the Bantay Eskwela initiative. The Bantay Eskwela Project Implementation Team (PIT) encourages the stakeholders to participate in monitoring the government service delivery especially on education which the basic needs in Davao del Sur especially to those who are located at the remote areas. And we firmly believe that the chain of poverty could be broken if we hit the root cause and that is corruption.